That’s a great idea. I haven’t been paying enough attention to the bottles in the supermarkets – not even sure my supermarkets have such pretty bottles – but will pay more attention in the future. Yes, I’ve noticed lots of great bottle and jar shapes at supermarkets! Thanks, Hannah–these were fun to put together! I love unique jars, but I’m admittedly more of the buy overpriced ones from Pier 1 than saving ones like this. Your way is so much better! Yes, you’d be surprised at how many great bottles and jar shapes there are at the grocery store! I like buying them at Pier 1, too, but lately I’ve just been using saved bottles like these. These are beautiful, so fresh!! 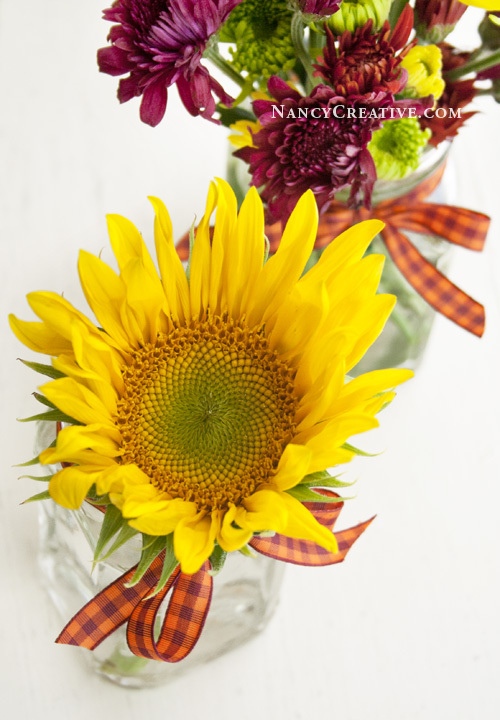 And I am going to start saving jars, Nancy, thanks for the great idea. Beautiful photography, by the way! Wow! Nancy, these are simply beautiful! 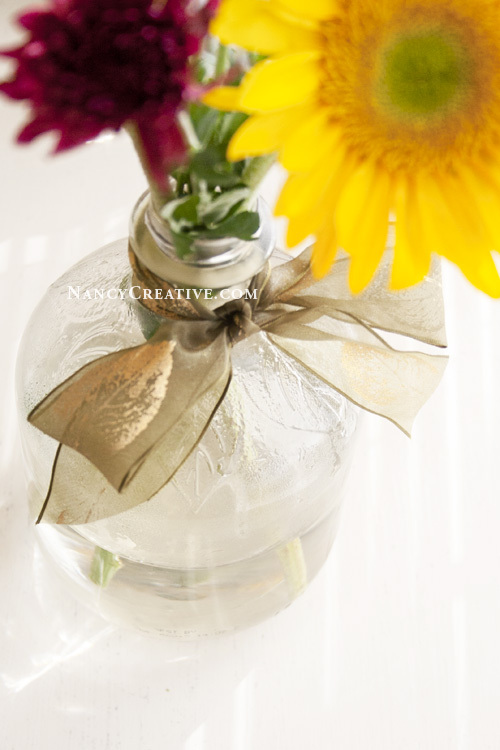 I love collecting jars, bottles and some containers too! It’s fun collecting them, and it also feels nice to reuse things in a new way! Lovely post! 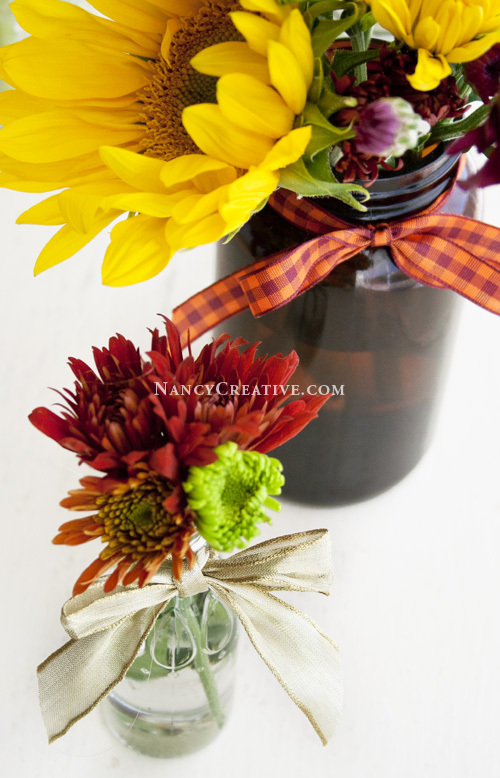 I like the unique use of the jars, and your autumn arrangements or gorgeous! I save glass bottles, I have quite a collection of bottles and jars. 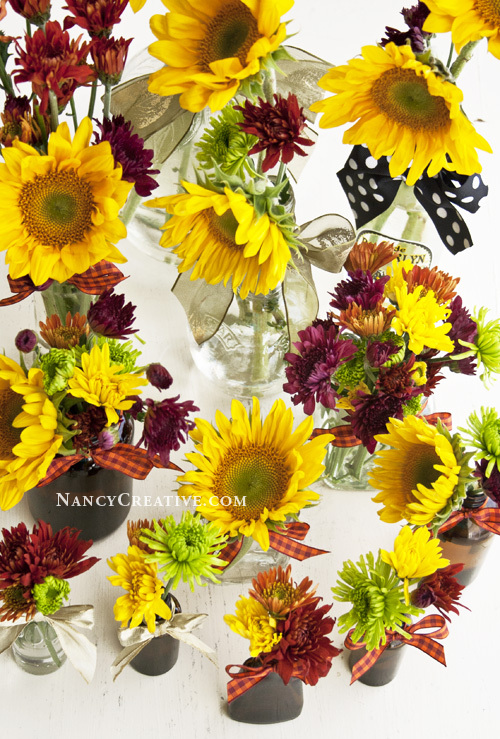 I love your autumn bouquets so beautiful. You have outdone yourself Nancy. 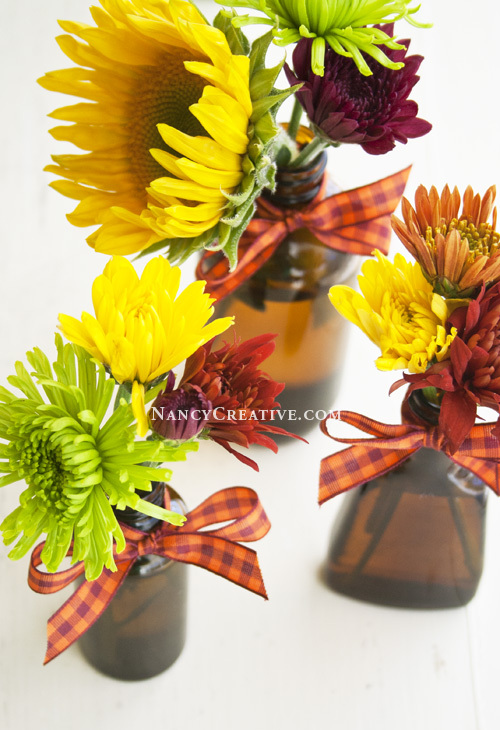 I love the vintage soda bottle and the floral arrangement is so beautiful. Thanks so much! 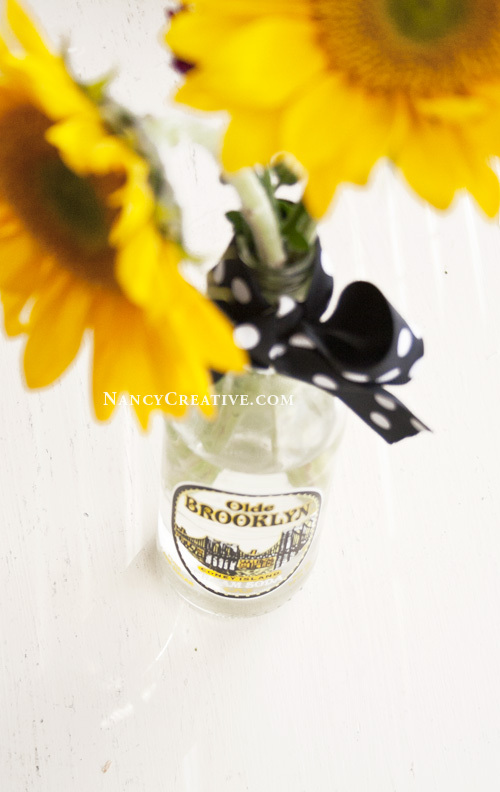 I like that vintage bottle, too–it has such a fun label! 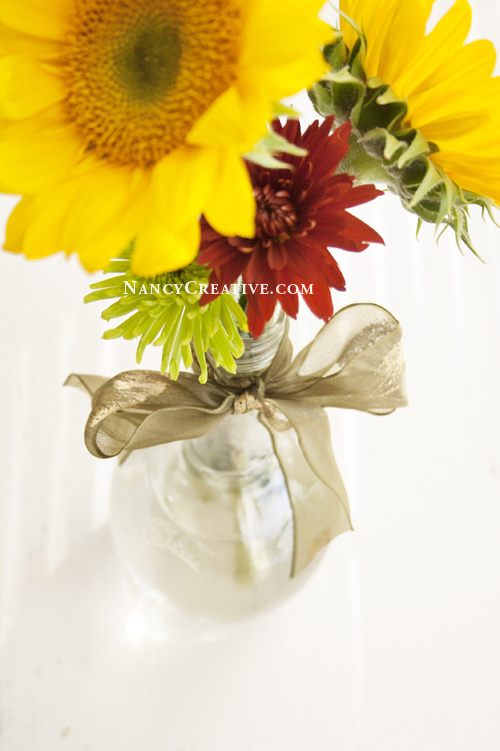 Hi Nancy, how thoughtful of you to hand out flowers to friends. Beautiful bottles!